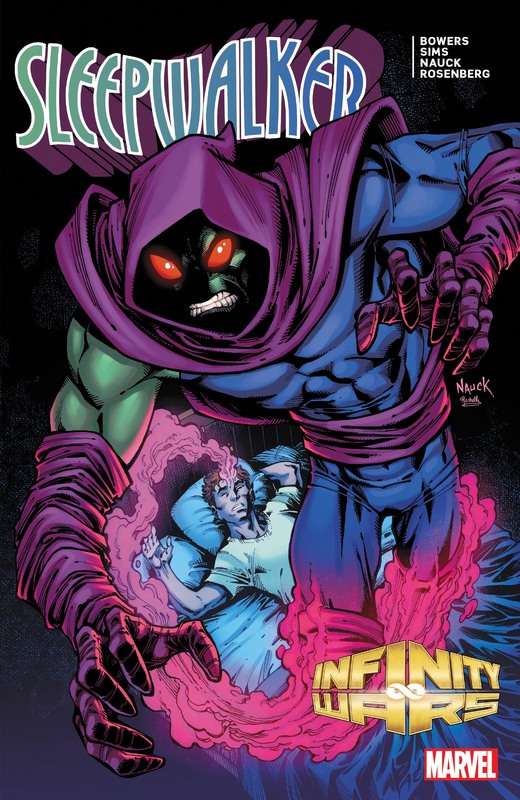 Collects Infinity Wars: Sleepwalker #1-4. Deep in the mind of man, in the ephemeral land of dreams, he lurks! 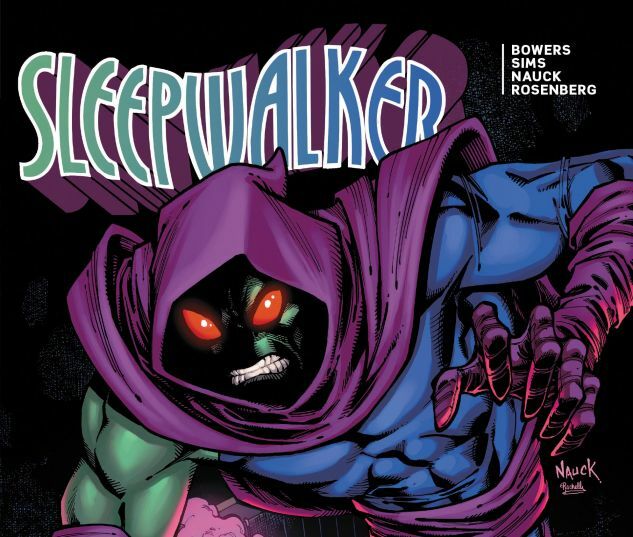 The Sleepwalker — guardian of the Mindscape! 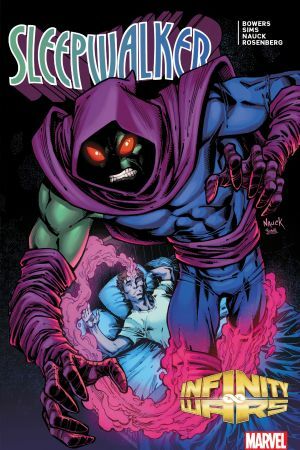 When Requiem warps all of reality in the Infinity Wars, can Sleepwalker find the help he needs to set things right from among the ranks of the newly combined heroes? Perhaps Dark Starhawk? Or maybe “He whose touch causes burning” — Man-Thing Thang Thoom?! Lost in the warped reality that Requiem has left in her wake, Sleepwalker must find any way he can to save the Mindscape from being devastated by the chaos in Soulworld. But can even his warp vision make sense of this madness? And what chance does he have of restoring the universe that should be?